When the Empire falls, a New Republic rises! After the events of RETURN OF THE JEDI, Emperor Palpatine is dead--but can his faithful Hand, Mara Jade, complete her final mission of revenge? Replica droid assassin Guri has also lost her master...but as she struggles for humanity, her android brain makes her a target! When rivals clash over the late Jabba the Hutt's criminal empire, the Bloated one makes a surprising appearance! And a mysterious doppelganger is asking for trouble impersonating everyone's favorite bounty hunter--it's Boba Fett vs. Boba Fett! COLLECTING: STAR WARS: MARA JADE - BY THE EMPEROR'S HAND 0-6, STAR WARS: SHADOWS OF THE EMPIRE - EVOLUTION 1-5, STAR WARS: THE JABBA TAPE, STAR WARS: BOBA FETT-TWIN ENGINES OF DESTRUCTION; MATERIAL FROM STAR WARS TALES 1, 3-5, 10, 14-15, 20; 22. 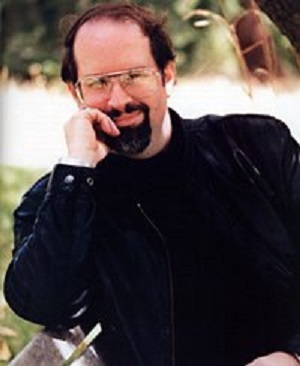 Timothy Zahn attended Michigan State University, earning a Bachelor of Science degree in physics in 1973. He then moved to the University of Illinois at Urbana-Champaign and achieved an M.S. degree in physics in 1975. While he was pursuing a doctorate in physics, his adviser became ill and died. Zahn never completed the doctorate. In 1975 he had begun writing science fiction as a hobby, and he became a professional writer. He and his wife Anna live in Bandon, Oregon. They have a son, Corwin Zahn.